On Friday night, our Varsity Girls Volleyball team hosted some familiar faces, as nine of our Alumni ladies laced up their shoes to compete on the volleyball court that they used to call “home.” Our Alumni guests ranged from the our most recent graduating class (2018) all the way back to Y2K (2000 for you youngsters)! The Alumni team was made up of two pairs of sisters, in the Salcepuedes girls, as well as the Santillans. This squad also boasted a few staff members, as Elyssa Manacmul (coach and elementary teacher) and Michelle Perkins (Teacher) suited up to compete against their students. It was an awesome night and we thank and appreciate our alumni ladies for coming out! 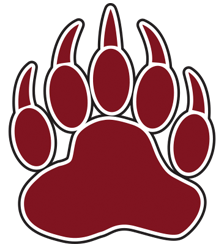 Each year, one male and one female athlete are chosen from our high school to receive the Grizzly Athlete of the Year Award. 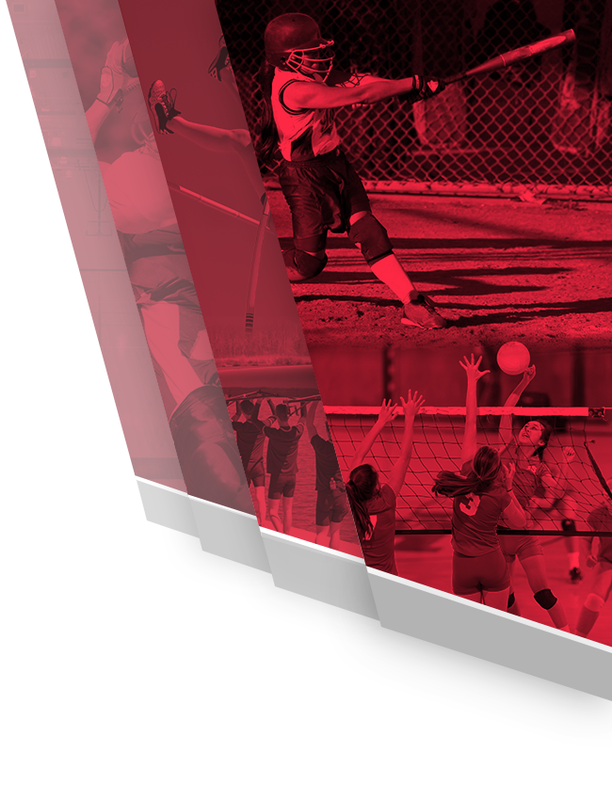 This award seeks to recognize the top two student athletes in our school based on their athletic achievements during the school year. 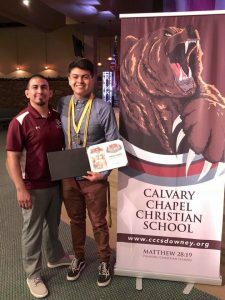 The Grizzly Athlete of the Year must also maintain a solid GPA, exhibit Christ-like character on and off the court or field and represent what is said in Colossians 3:23 “And whatever you do, do it heartily as to the Lord and not to men.” Here at CCCS we don’t play for wins, awards or championships, but rather for our Lord and Savior Jesus Christ, while we trust that those accolades will be a product of our main goal.. to compete at our highest level for HIM! 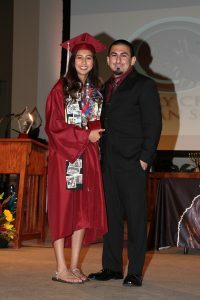 This year, our female Grizzly Athlete of the Year is Alma Campos. 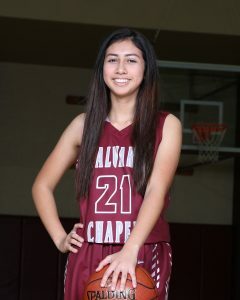 Alma is a three sport varsity letterman, yet chose to focus on her two main sports, Basketball & Softball as a senior. 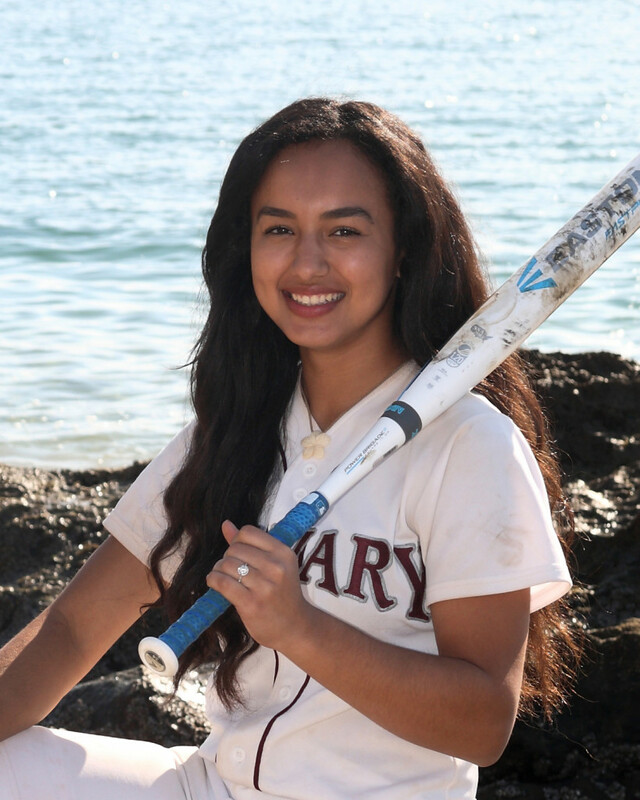 As a sophomore, Campos earned 2nd Team All Academy League honors in Basketball and was the Softball Scholar Athlete. 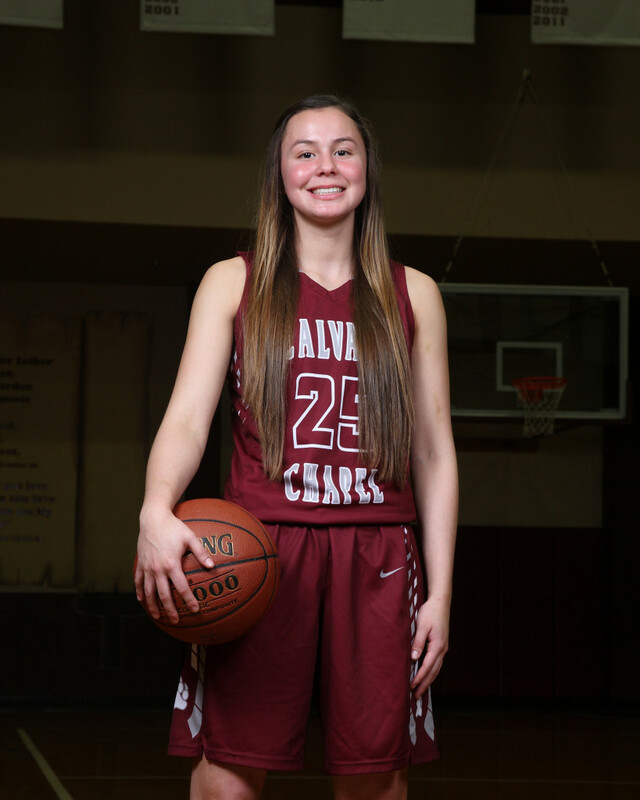 During her junior year Campos again earned 2nd Team All Academy League honors in Basketball, as well as the team Coach Award. She also earned 2nd team All league honors in Softball and the team’s Mighty In Spirit trophy. This year, as a senior, she made her 3rd appearance on the Basketball All-League Team and was voted the team’s Impact Player. She closed out her final Softball season by helping lead the team to their 3rd consecutive Academy League Championship, while earning 1st Team All Academy League recognition and the team’s Coach Award. Campos achieved all of this while ending the year with a 4.17 GPA. We are proud to announce the 2018 Female Grizzly Athlete of the Year Award to Alma Campos. Our male award recipient is also a three sport Varsity Letterman, as he competed in Cross Country, Soccer and Track & Field. As a sophomore, he was the team’s scholar athlete and received the Coach Award in Soccer and doubled up on both of those awards in Track & Field. 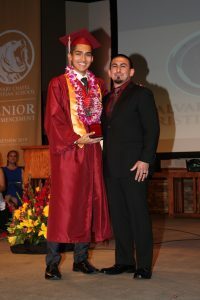 During his junior year, Trejo earned the Impact Player award for Cross Country and received both the Coach Award and Impact Player award for Track & Field. This year, as a senior, he was awarded 2nd team All-League honors in Cross Country and received both the team’s Mighty In Spirit award and the Impact Player award. In Soccer, he earned the team’s Coach Award. 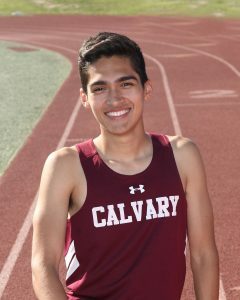 Finally, in his final Track & Field season, he qualified for CIFSS Division 4 Prelims as a part of the 4x100m relay team and individually in the 400m race. Trejo also received the team’s Mighty In Spirit Award. This young man also broke the school record that has stood since 2000, in the 400m race and was the anchor leg of the boys Sprint Medley Relay team that broke the school record, as well. He finished his High School career with a cumulative 3.75 GPA. We are proud to recognize Paul Trejo as the 2018 Grizzly Athlete of the Year. Congratulations to Senior Football Player David Zarate for earning the Burlsworth Charater Award. Brandon Burlsworth is known as one of the greatest walk-on football players in NCAA history. He showed up as a walk-on freshman at the University of Arkansas and through hard work and dedication, earned himself a scholarship. Brandon was named to the All-SEC Academic Honor Roll and was the first football player in the history of the university to earn a Master’s degree before playing his last game. Brandon was selected by the Indianapolis Colts as the 63rd overall pick in the 1999 NFL draft, and after mini-camp, was projected by his coaches to start as a rookie. Unfortunately, Brandon was tragically killed in an automobile collision just 11 days later. The Brandon Burlsworth Foundation believes that our nation needs to place a higher value on character. 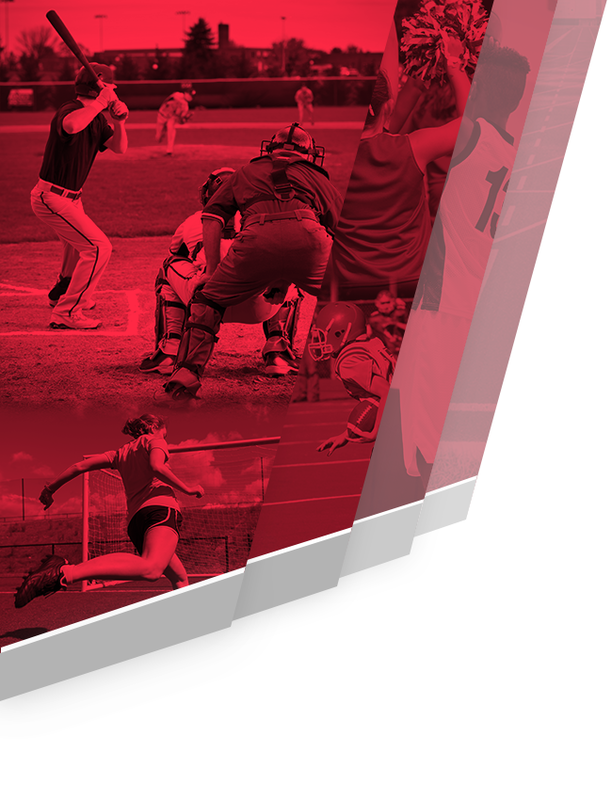 The Burlsworth Character Award is meant to recognize outstanding character and sportsmanship, and is now a nationwide award for high school senior football players. This award honors the player who represents the ideals and values that Brandon Burlsworth had: to give 100 percent on the field and to stand as a moral example to his team. 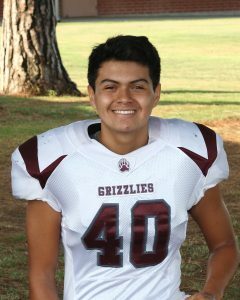 This year, as voted on by our varsity football team, in agreement with Head Coach Mike Nuño and the Grizzly Coaching Staff, our 2018 Brandon Burlsworth Character Award goes to David Zarate. 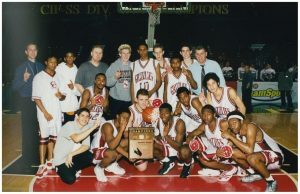 In 2001, standout basketball star Tim Drisdom (2 time CIF Player of the Year) led the Calvary Chapel Downey Varsity Boys Basketball team to the school’s first CIF Championship. The Grizzlies finished the season with a 28-5 overall record, which culminated in a victory over Kilpatrick in the CIFSS Division 5AA Championship Game. The boys enjoyed their memories, the team plaque, the patches and of course, the rings! But at some point, not too far after, it was decided that their individual names should not be on the banner that hangs high in the CCCS Gymnasium. It has been over 15 years since those names were removed from that banner, which was done in an effort to give glory to God, as opposed to man. However, the Lord tells us in Romans 13:7 to “.. give honor to whom honor is due.” Our current administration has taken this to heart and determined that we can, in fact, glorify God by honoring the athletes that have gone through HIS school, and accomplished awesome things with the gifts, talents and abilities that HE gave them! CCCS invites you ALL to come out to our Varsity Boys Basketball game on Friday January 26, 2018 at 7:30pm vs. St. Margaret’s. Our 2001 Varsity Boys Basketball Alumni will be recognized at half time, as they have been invited back to see that their NAMES ARE BACK UP ON THE BANNER IN OUR GYM! Please note that our Boys JV team plays at 4:30pm, followed by our Varsity Girls Basketball team at 6:00pm. Our Girls team will be honoring their senior players prior to their 6:00pm tip-off and we will have food for sale that night during both Varsity games. GAME ADMISSION IS FREE THIS NIGHT. 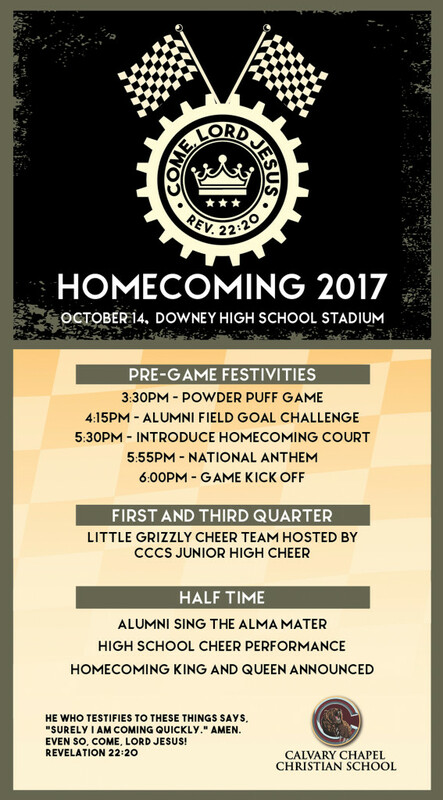 You are invited to CCCS Homecoming Football game 2017 as the Grizzlies take on the Rebels from Flintridge Prep! The Grizzlies defeated the Rebels in a thriller last season at Flintridge Prep 38-37 and are praying for another exciting game with an opportunity to glorify God in the process! 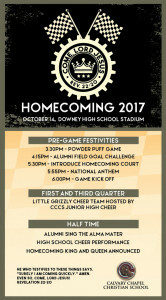 We have an awesome fun-filled night planned for you at Downey High School on Saturday, October 14, 2017. Please see the attached flyer for more details and be sure to check out the short promo video below! Three of our Lady Grizzlies from the graduating class of 2017 will be taking their athletic talents to the realm of collegiate athletics in 2017. Sarah Welch, played varsity basketball here at Calvary Chapel for four years, in addition to one year of Volleyball and one year of Track and Field. Sarah was a Scholar Athlete as a Sophomore, Junior and Senior and was name the team Impact Player as a Senior. She also received the Coach Award for Track and Field as a freshman, the only year in which she participated. 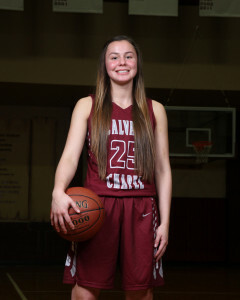 Sarah was also named to the Southern California Interscholastic Basketball Coaches Association (SCIBCA) 2nd Team for the 2016-2017 school year and earned 1st Team All League honors. Next year, Sarah will be taking her talents to Vanguard University to add to the storied program there. 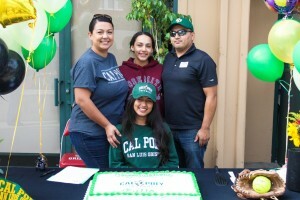 Bella Veloz will be joining the softball program at California Polytechnic State University, San Luis Obispo and becomes the next in line of our Grizzly softball players to earn NCAA Division 1 offers. Bella signed her National Letter of Intent this past November. As a junior, Bella earned the Coach Award for our team and 2nd Team All League honors. This year, as a senior, Bella was named 1st Team All League and helped lead our Grizzlies softball team to a back to back Academy League Championship. Grace Gerl participated in Cheer and Softball for all 4 years at CCCS. She was a standout Cheerleader, and had the choice to compete in either cheer or softball at different schools. The opportunity to play softball close to home is what she went for, as she will be playing for Long Beach City College next year. Grace earned 1st Team All League honors as a senior and was this year’s recipient of the team Coach Award. 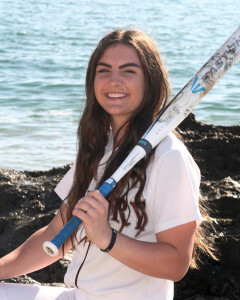 Grace was named to the Academy League second team as a junior, and was a major contributor to the softball team’s back to back league championship. We are extremely proud of all three of these ladies and look forward to what the Lord has in store for them as they compete and glorify Jesus Christ at the next level. Damian Sandoval has been training in the Strength and Conditioning Class for three years. He has been one of the most consistent and disciplined students to participate in the program. Damian’s hard work recently paid off. He currently holds the #4 Dead Lift record with 405 lbs and #4 Leg Press record of 700 lbs on the Strength & Conditioning Class “Gym Rats” top five board. Shout out to Damian for his hard work. Senior 3rd Baseman Isabella Veloz signed her National Letter of Intent to attend California Polytechnic State University, San Luis Obispo in the Fall of 2017. Bella had an awesome season last Spring as a Junior, as she helped lead our Grizzlies to a 22-3 record in a run that ended in a loss in the CIFSS Semi-finals. Bella ended the season with a .547 batting average and hopes to build off of that in her final season as a Grizzly, before she moves on to compete at the NCAA Division 1 level.